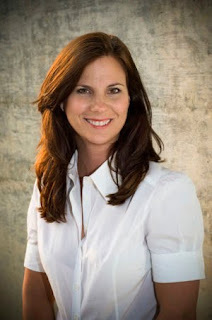 Nancy Duarte is the CEO of Duarte Design (a design firm which focuses solely on presentations) and author of the popular book Slide:ology - The art and science of creating great presentations. Nancy has come out with her second book, Resonate: Present Visual Stories that Transform Audiences. The book was released on October 4. I caught up with her to find out more. Vivek: After the success of your book Slide:ology comes your next book Resonate. What is the central idea of the book? 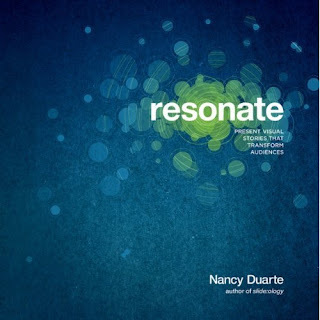 Nancy: Resonate reveals a way of creating presentation content that germinates from story structures and frameworks instead of a document mindset. Having worked on presentations for years, I began to study literature and cinema to determine how to incorporate tried-and-true story principles into presentations. Central themes of the book are that the audience is the hero (not the presenter) and that presentations can be interesting if you create enough contrast to keep the audience interested. Vivek: Is Resonate a sequel to Slide:ology? If not, how does it differ from Slide:ology? Nancy: Great question. Resonate is actually a prequel to Slide:ology. Slide:ology is about the visuals and Resonate is about the content. Content has to be a prequel to the slides since you create it first. When I wrote Slide:ology, I thought that the most pressing need in business communication was the visual display of information (slides) and Slide:ology addresses that. Once I started to see the principles applied in organizations, the slides looked great but it was really the content that was a mess. Beautiful slides created to accompany disastrous content is like dressing up a pig. Resonate deals with the pig. Vivek: What was the inspiration behind the book? Nancy: I set out to uncover why only a few presentations are riveting, while the rest are boring. I knew that there had to be an underlying narrative structure to presentations that hold the rapt attention of an audience. So, I studied literature and cinema plus studied the transcriptions of great presentations and believe I have uncovered that pattern. I also feel like we’re in a season globally where we need some transformative ideas to come to the surface. I’m hoping that Resonate plays a role in shepherding those great ideas into adoption. Vivek: What should readers expect from this book? Nancy: They should expect to feel empowered to change their world. I’d say the underlying theme of the book is persuasion. At the core, the only reason we are presenting is to persuade. The book will walk you through a process of brainstorming ideas that support your Big Idea, define the journey you want the audience to go on and then build a presentation that gets them to adopt your perspective, buy your products, or invest in your company…whatever it is you’re trying to persuading them to do. Vivek: Who should buy the book? Nancy: The book appeals to anyone who communicates (and particularly persuades) on a regular basis. I’ve been getting feedback that it works beyond just a presentation, but works for all types of communication that an organization produces. I wish Nancy best of luck for her new book. To read her thoughts about presentations check out her blog.